As reported by New America Media.org, responding to an inquiry by the editor of The St. Louis American newspaper, Secretary of Transportation Ray LaHood last week outlined portions of the $827 billion American Recovery and Reinvestment Plan that he says will specifically impact the Black community. The White House response came after a telephone press conference with Midwest reporters during which NNPA award-winning editor Alvin A. Reed asked LaHood about the minority participation aspects of the act, which President Obama has implored Congress to pass this week. • General: The majority of the provisions in this recovery and reinvestment plan will assist African-Americans, who have been dramatically impacted during these tough times, in making it through this period with tax cuts for 95 percent of families, programs including extension of unemployment benefits, COBRA healthcare benefits, and food stamps and temporary assistance for needy families (TANF), while also preparing them for new opportunities with training for new jobs in existing and emerging industries. • Tax Cuts: This plan seeks to put money in the hands of consumers as quickly as possible through tax cuts for 95 percent of families. This is especially important for African-Americans who have experienced a reversal of fortune in the gains in wages and salary reached during the 1990s compared to others in the workforce. This immediate infusion of resources will not only allow them to purchase the items they need for their families, but also help rebuild our economy. • Job Creation: The unemployment rate for African-Americans was 12.1 percent and had risen to 12.6 percent when new job numbers were announced Feb. 6. This plan will create jobs with its investments in rebuilding roads and bridges and retrofitting government buildings while also working to help prepare job seekers for the 21st century economy with training for new “green jobs” and other emerging industries. The key is ensuring that African-Americans have access to information about all of these opportunities. • Education: Right now 95 percent of African-American children rely on public schools in America, yet a great number of these systems lack the funding they need to deliver the education that our children deserve and the facilities themselves are generally inadequate. This plan makes a historic investment in school modernization sufficient to renovate and modernize 10,000 schools, which also saves or creates jobs. The plan also invests in our children’s future by doubling the Early Head Start program which will provide additional pre-k services to more than 350,000 children and create at least 15,000 new teaching and teaching assistant jobs. Efforts are also being made to increase the Pell Grant maximum award above $5000 making college affordable for 7 million students. Finally, understanding that we are living during a time when tough choices have to be made, state and local governments should not have to cut education to make their budgets work. This plan provides resources so that potential education cuts can be bypassed in the immediate future. AAPP: There are doubts in many quarters of the African American community to whether the Obama Stimuus plan will provide minority owned businesses and minorities a fair shake. I agree with, Ernesta G. Procope, who said, "The stimulus program will pump some $800 billion into the economy over the next two years. Ultimately, most of it is expected to go to businesses that will rebuild our infrastructure and create renewable energy resources, as well as to the firms that provide services to them—from accounting to food service to insurance. If minority-owned businesses don’t receive their fair share, President Obama would be wasting a golden opportunity to accomplish the many changes he has envisioned for our great country." AAPP: What do you think? Will blacks get any of these jobs and business opportunities through the Obama Stimulus Plan or will the states give contracts and jobs to their buddies? One only has to be reminded about FDR and Blacks. As Jim Powell over at the CATO Institute Noted, Good intentions are over-rated. Franklin Delano Roosevelt's New Deal, for instance, has been hailed for its lofty goals of reforming the American economy and helping the under-privileged. Yet mounting evidence, developed by dozens of economists across the country, shows that the New Deal prolonged joblessness for millions, and black people were especially hard hit. The flagship of the New Deal was the National Industrial Recovery Act, passed in June 1933. It authorized the president to issue executive orders establishing some 700 industrial cartels, which restricted output and forced wages and prices above market levels. The minimum wage regulations made it illegal for employers to hire people who weren't worth the minimum because they lacked skills. As a result, some 500,000 blacks, particularly in the South, were estimated to have lost their jobs. MORE HERE. A $787 billion stimulus package - Is It A Early Victory For Black Folks? As reported by WaPo Twenty-four days into his presidency, Barack Obama recorded last night a legislative achievement of the sort that few of his predecessors achieved at any point in their tenure. In size and scope, there is almost nothing in history to rival the economic stimulus legislation that Obama shepherded through Congress in just over three weeks. And the result -- produced largely without Republican participation -- was remarkably similar to the terms Obama's team outlined even before he was inaugurated: a package of tax cuts and spending totaling about $775 billion. WAPO, The BBC and other news outlets report the Republicans are not happy and the deal may cost relationship with GOP: House Minority Leader John A. Boehner (Ohio) described the stimulus package as a "billion-dollar-a-page" spending plan and accused Democrats of not wanting people to read it "because they might actually find out what's in it. And in the days and weeks and months to come, we'll know how this money will be spent." Obama aides had predicted several weeks ago that Republican lawmakers from states such as Michigan, Florida and California, where many communities are struggling, would feel compelled to vote for the bill's final passage because of the impact it promised for their constituents. Instead, opposition to the plan only increased over that time. "This was not an easy vote for me. I had to dig down deep," said Rep. Candice S. MillerMore HERE (R-Mich.). Her conclusion: "Michigan, we are getting railroaded." AAPP: The fact of the matter is, this $787 billion stimulus plan, won't even put a dent into the problem that America faces. We are losing jobs everyday to China, and no one seems to have a plan to bring them back. The fact is Congress will be back in a few months with another stimulus plan and no is willing to discuss that not even the new President. But then again, maybe the he is telling us. Did you notice that there was something missing from the Congress' stimulus negotiations: transparency. 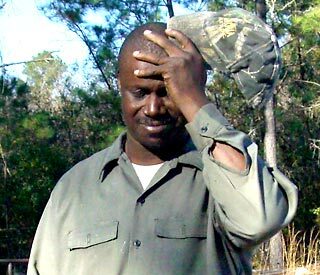 The African American Environmentalist Association notes, "Blacks do not own energy companies because they have been locked out of this capital intensive area. There are some exceptions but, for the most part, African Americans do not own the oil, coal, natural gas, nuclear, pipelines, railroads, trucking, electricity lines or even the wind and solar companies in America." Do you see what I and many others see? The $787 billion stimulus package - Is It A Early Victory For Black Folks? What do you think? The House has passed a $787 billion plan to resuscitate the economy, handing President Barack Obama a big victory. Well that's what some news outlets are saying. The measure was passed on a 246-183, with no Republican "yes" votes. It will now go to the Senate, where a vote is expected later Friday. As reported by The LA Times, He also called on business leaders to help his administration as their forbears helped President Franklin D. Roosevelt in the early days of his presidency. Speaking to the Business Council -- founded in 1933 by FDR's secretary of Commerce -- Obama asked dozens of chief executives gathered in the White House East Room to help him bring their "best practices" to the enterprise of government. "Even as our president was leading unprecedented public interventions into the private sector," Obama said of Roosevelt, "he did so always in concert with the private sector's leaders." Obama said he expected that a House vote today on his $789-billion rescue plan would get the U.S. economy on the road to recovery. But passing the plan is only the first step, he told members of the council, now a self-appointed panel that meets once a year. Now the President Obama vows to turn next to housing crisis. He plans to detail his foreclosure Plan According to the Washington Post, President Obama will release the details of his foreclosure prevention plan Wednesday, the White House announced today as several large banks pledged to temporarily stop foreclosures until the program is in place. Obama will make the eagerly awaited announcement from Arizona, White House press secretary Robert Gibbs told reporters this afternoon. That schedule came as J.P. Morgan Chase, Bank of America and Citigroup announced temporary moratoriums on foreclosures at the urging of a key House member. Top executives from these firms endured tough questioning before the House Financial Services Committee earlier this week, including about whether the banks have done enough to help struggling homeowners. In public statements and letters to the committee released today, the banking firms sought to show the extent of their efforts. AAPP: Get this, The White House cautions realism over Obama housing plan. I'm in agreement with John Taylor, "The move by some lenders to suspend foreclosure is helpful, and hopefully sign of a trend that other lenders will follow." John Taylor is president and chief executive of the National Community Reinvestment Coalition. Do you agree with John Taylor? Justice in America - Judges Sentence Youth To Keep Private Youth Detention Centers Filled - $2.6 million in kickbacks! As reported by the The NY Times, and the BBC, At worst, Hillary Transue thought she might get a stern lecture when she appeared before a judge for building a spoof MySpace page mocking the assistant principal at her high school in Wilkes-Barre, Pa. She was a stellar student who had never been in trouble, and the page stated clearly at the bottom that it was just a joke. 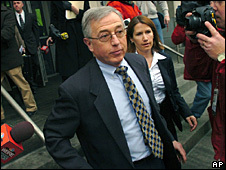 AAPP: It's instructive to note what Senior Judge Arthur E. Grim said; “In my entire career, I’ve never heard of anything remotely approaching this,” who was appointed by the State Supreme Court this week to determine what should be done with the estimated 5,000 juveniles who have been sentenced by Judge Ciavarella since the scheme started in 2003. Many of them were first-time offenders and some remain in detention. This is not just a NY problem it's a national problem that the afrospear, color of change, NAACP, The Poor People's campaign, The Lawyers Committee on Civil rights, and other groups need to address. I wonder how many Black Americans, Latinos and Native Americans have been impacted by these judges, sounds like the U.S. Justice Department needs to be involved in this case. In the article, notes that Benjamin Jealous, the 36-year-old activist who became president of the association six months ago, has been taking on such questions eagerly. He argues that black Americans are really facing a new beginning as the nation's oldest and most prestigious civil rights organization crosses into its second century. Jealous says the NAACP already has more influence in the Obama administration than any civil rights group did during George W. Bush's term. The association's lobbyist, Hilary Shelton, had over a dozen meetings with Obama transition officials and has already been to the White House a handful of times to discuss the group's agenda, which includes ensuring fair distribution of federal bailout funds, reducing black unemployment, reducing racial disparities in the criminal justice system and ensuring that minority children have access to good schools. AAPP: Hmmm... "The NAACP already has more influence in the Obama administration than any civil rights group did during George W. Bush's term." Well that's not any great big deal, you see George Bush refused to meet with the NAACP for five straight years. If it has so much influence, where is the discussion regarding the poor in America, the need for a real green technology jobs training program for those low income people out of work? Where is the conversations that A. Philliph Randolph and Dr. Leon Sullivan would have with the administration, and where is it in the Stimulus Plan? Where is the public conversation about the report by United for a Fair Economy which found that the subprime lending crisis has cost the greatest wealth loss to "people of color' in modern United States history. The loss--documented in a report titled "Foreclosed: State of the Dream 2008"--is estimated to be between $164 and $213 billion. More HERE Where is the public conversation about the Gaps in black construction jobs and how the stimulus may work for all but black men? It's interesting that, as reported by the Washington Post, the NAACP's Jealous, the youngest leader the NAACP has ever selected has increased the NAACP's list of cellphone numbers from 5,000 to 30,000, grown its e-mail list to 400,000. "The only problem is that when Change.org and Change.gov were allowing citizen input into American priorities and were debating real issues impacting America, those 400,000 email voices from the NAACP Chapters around America were not heard on Change.org or Change.gov" I and other black bloggers have written a number of times regarding the NAACP's own battle over it's future. I know I have been critical of the old guard for some time, as has Blogger Francis L. Holland and others, who have laid out in very clear terms our concerns regarding the future of the organization. Almost 9 months ago, I re-joined the NAACP after many years (I used to be the Youth Affairs Board member at the Boston Branch of the NAACP back in the day). I have been eager to work with my local and national NAACP but have not received returned phone calls or responses to emails. Surprise, Surprise! but i do have the audicity to hope, that maybe, just maybe, my local NAACP branch will respond to an email, my offer to help in any way I can. But then again, I guess I'm one of those 400,000 email addresses collected by the NAACP, but not engaged by the NAACP itself. Chuck Turner Wants Support from Pres. Obama and U.S. Attorney General? File this under small time Crooks and liars. The Boston Hearld is reporting that a newly fired-up Chuck Turner lashed out against “corrupt” prosecutors yesterday, calling on President Obama to come to his rescue and drop all bribery charges against him. As you may remember, I wrote about this situation back in November of 2008, when I reported that he was Caught On Tape and Arrested. This time again in Boston. Get this Chuck Turner, a Boston City Councilman, whom this AAPP has known for years is caught taking silly $1,000 dollar from federal agents. Damn, this brotha is going down for a $1,000 ??? silly man. I guess he will be going to Federal prison for taking a silly bribe instead of just doing his work. He gets paid enough as a city councilman, why is he disgracing himself and black folks like this? Now I understand why he defended Diane Wilkerson, who got caught on tape by the FBI as well. He has turned out to be just like her, a two-bit crook, who attacked Latino Leadership in Boston to cover himself and Dianne Wilkerson. I feel sorry for my old home of Roxbury, Massachusettts, as they come to grips with the fact that black leadership in Boston has Sold them out, If I lived in Boston I would run for his seat. as I said about a month ago, Diane Wilkerson and old Black Political Leaders in Boston are out of touch and corrupt. As reported by the Boston Globe The FBI arrested Boston City Councilor Chuck Turner this morning on charges he accepted a $1,000 bribe and then lied about taking the money in a widening federal corruption probe. A 12-page affidavit filed this morning in US District Court alleges that Turner was surreptitiously videotaped accepting the cash in his district office on Aug. 3, 2007, in exchange for pushing for a liquor license of the Roxbury nightclub Dejavu. Included with the affidavit are two photographs of Turner allegedly accepting the bribe. In one image, Turner's trademark white goatee is clearly visible as folded green bills are pressed into his hand. Turner was arrested at 7 a.m. at City Hall on charges stemming from the undercover probe, which lead to the arrest on Oct. 28 of state Senator Dianne Wilkerson on allegations she accepted eight bribes worth $23,500. The day of Wilkerson's arrest, two FBI agents visited Turner at his City Hall office and he "repeatedly denied ever being offered the money," according to the affidavit. During the interview, however, Turner rued the pervasiveness of corruption among politicians. "If you took out all the corrupt politicians, you take out 90 % and be left with us 10 %," Turner said, according to the affidavit. The five-term city councilor is expected to make his initial appearance today in US District Court in Worcester before Magistrate Judge Timothy Hillman, who is handling Wilkerson's case. Turner's alleged crimes took place in Boston, but Hillman ordinarily sits in Worcester. As Reported by the Boston Hearld, City council President Maureen Feeney temporarily removed Turner from all committee assignments, including his chairmanship of the committees on Education and Human Rights, according to a statement from her office today. She called for a special meeting of the City Council for 3 p.m. Monday to discuss further council action. "These charges are disturbing and shake an already fragile public trust in elected leaders," she said. "If these charges prove true, I will not let the actions of one member cast a dark cloud over this entire body," she continued. H/T BlogTalkRadio Host/and activist, Seventies Soul Child for the link. Now as reported by St. John Barned-Smith at the Bay State Banner, City Councilor Chuck Turner fired off the latest salvo in the dramatic effort to rescue his reputation on Monday, tying his prosecution to what he termed “the judicial atrocities of the Bush administration” and asking his supporters to petition President Barack Obama to drop the federal charges against him. “We move beyond the first phase of my Campaign for Truth, Light and Justice by focusing national and international attention not just on my arrest and indictment but also on the eight years of corrupt practices of President Bush’s Department of Injustice,” Turner wrote in an e-mail to supporters. In the e-mail, sent just after 8 a.m. on Monday, the District 7 city councilor called for the president and newly confirmed U.S. Attorney General Eric Holder to drop the “fraudulent” charges of bribery and conspiracy that have been filed against him and to examine whether the investigation against him had racial or political motivations. In addition to Obama and Holder, electronic carbon copies of the petition are apparently being sent to a wide variety of parties, including local and national news outlets, civil rights organizations, the Congressional Black Caucus, Gov. Deval Patrick and even U.N. Secretary-General Ban Ki-moon. AAPP says: OK, Chuck Turner is fired up and has lashed out against “corrupt” prosecutors. But the fact of the matter is he was "caught red handed" taking a bribe. His call on President Obama to come to his rescue and drop all bribery charges against him, makes great urban political theatre but no common sense. Chuck Turner unfortunately has it twisted. It's not the “eight years of what he called corrupt practices of President Bush’s Department of Injustice,” that residents of his district should be looking at, it is him taking that money. It's as simple as that. African American Political Pundit, grew up in Boston, and was a long time resident of Roxbury, the district that Chuck Turner represents.